Usage: Homogenous blending of synthetic or natural rubbers with a variety of chemicals. German Make 22 X 60 Used Mixing Mill . We offer rubber mixing machine that is extensively used to prepare uniform composition of rubber with other ingredients. Clients can get the desired specifications with the help of this machine in minutes. We also undertake customization as per the application requirements of the industry. Unimix Equipment is the metal fabrication division of the Unique Group of Companies engaged in Consulting, Design, Manufacturing, Installation & Commissioning of Process Equipment and Engineered Components. - Pair of smooth metal rolls set in the same horizontal plane, mounted on a heavy structure. AMCL offers a wide range of two roll mills for processing rubber & plastic material in various sizes and applications, viz., mixing, cracking, sheeting, warming, feeding, compounding etc. 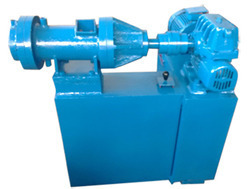 The mills are sturdy and robust in construction and are offered with high degree of safety parameters. 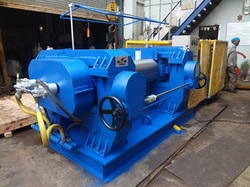 We are one of the trusted organizations engaged in offering an extensive range of Two Roll Mixing Mills. These are used for fast and homogeneous mastication of natural rubber, synthetic rubber, EVA compound and PVC pallets with different chemicals and fillers. Two Roll Mixing Mills comprises of rolls, frames, beds, bushings, bushing lubrications, roll gap adjustments etc. These mills are widely used for re-mixing, plain compounding and mixing etc.